Dining in the Middle Florida Keys is an experience not to miss! Places to eat in Marathon vary widely in food selection and offer a vast expanse of styles. From restaurants overlooking the water, fun family style Tiki Bars and fine dining. For 22 years, the Barracuda Grill has been serving fresh and eclectic dishes to locals and tourists! We do NOT take reservations. We do have outdoor seating, overlooking the garden department of Home Depot. We are open for dinner Wednesday through Saturday, at 6:25, closing around 9ish. Dinner at Butterfly Cafe is served nightly from 6:00 p.m. to 9:00 p.m. at our restaurant in Marathon and reservations are encouraged. Enjoy outdoor Marathon, FL dining on Butterfly Cafe`s covered patio, or revel in the impressive dining room inside with its soaring ceiling and casual yet sophisticated decor. Our dinner menu features tantalizing offerings including Florida Keys` Shrimp Cocktail, Tropical Crab Cakes, Horseradish Encrusted Florida Grouper, TDF `To Die For` Sticky Toffee Pudding and more. Casual resort attire is recommended at this Florida Keys restaurant. Lazy Days South offers fresh seafood, seafood pastas, vegetarian pastas, sandwiches, steaks and chicken and reasonable prices. We will also cook your catch! Fabulous desserts, kids menu and full service bar available. Dine on the outside patio overlooking the beautiful waters of the Atlantic and enjoy romantic Florida Keys sunsets... or dine indoors in our cozy, yet spacious atmosphere. Large groups and families are always welcome! Highly Acclaimed Old-World Italian Frank Farello`s highly acclaimed breakout venture embraces his family`s Old World Italian recipes but is also highly regarded for the excellent American and Classic dishes, as well. Every dish is handcrafted by Frank himself and includes signature favorites like Snapper Francaise, Veal Piccata, Chicken Marsala, Steak Roma, Shrimp Scampi, over a dozen pasta dishes and the most delicious fresh fish preparations you`ll find anywhere in the Florida Keys. Hours of Operation: Monday - Friday 10 am - 3 pm; Monday - Saturday 5 pm - 9 pm. Closed Sundays. Located in the "Gem of the Florida Keys", the Key Colony Inn is a local and tourist favorite, serving only the finest Florida Keys seafood. Our menu is seasoned with delicious French and Italian favorites - from succulent lobster and shrimp over angel hair pasta to steak au poivre, veal cutlets, and fresh yellowtail snapper. The family-owned Key Colony Inn has been voted Best Restaurant for 15 years in a row! Feast in our intimate main dining room or spacious patio, or enjoy live, nightly entertainment in our romantic lounge, while sipping on a vintage wine, frozen libation, or our famous "Espresso Martini". We are also proud to offer the largest brunch in the islands, featuring dishes like stuffed shells, yellowtail in a lemon dill sauce, eggs benedict, pancakes and custom omelets. Stop in for dinner or lunch, we`ll be expecting you. 1951 there were many shrimp boats parked a stones throw from the restaurant and if you never met a shrimper, the you probably don`t know it but them boys can drink some beer. In 1999 John and Arlene sailed into Marathon, Florida ending a voyage that began in Los Angeles. They bought the restaurant and began a new adventure, oh yeah, they also got married that year, quit their jobs, sailed the boat and moved to the fabulous Florida Keys. Now 16 years later (John looks it but Arlene doesn`t) The Castaway is busy again but with an expanded menu featuring all the S`s. Seafood, Steaks, Sushi, and of course Spirits and as of today now serving 52 Beers on Tap Seating is indoor and outdoor on the water and service includes lunch and dinner 7 days a week. Takara Thai house is a wonderful restraunt with classic Thai dishes of flavors near and far and sushi that is too beautiful to eat. Thank you for visiting Herbie`s! We capture the essences of "The Keys" flavors with innovative recipes... some from the "old days" and others created right here. We`ve taken the best of traditional Keys cuisine and put our own unique twist on them - recipes you are certain to love! Our kitchen prepares every dish from "scratch" meaning it`s fresh and as local and in season as possible. Herbie`s has been serving locals and tourists alike for 50 years. But, under it`s former ownership(s), this little Florida Keys shack has been operating since the 1940`s! Don`t let the outside fool you... This is the biggest little restaurant you will ever walk in to! Whether you take door number 1 - the main room, door number 2 - the front room, or door number 3 - the screened in porch, it`s all the same great food, great beer and great service! Robert `Pop` and Irma Stout opened Stout`s Restaurant in 1964. They had previously lived in Sigourney, Iowa where they owned the Cottage Cafe for 14 years. Stout`s was originally open from 6 am to 10 pm Monday thru Saturday. Irma worked the grill while `Pop` made the daily lunch specials. Memories include Irma`s homemade pies (sometimes up to 30 a day), winter people back year after year and locals in three times a day. Irma was called "Grandma" by the young and old and `Pop` could always be spotted with an unlit cigar in his mouth and a smile. Unfortunately Irma passed away in 2001. Tom Stout (son) worked alongside his father and took over the restaurant in 1986. Tom lives in New Port Richey now where he owns Stout`s Cafe. `Pops` resides nearby in Inverness. In 1992 Suzy Curry and her husband Richard, decided to purchase the restaurant and to carry on the Stout`s name and tradition. Suzy inherited Tom Branch who was working at Stout`s and the two ran the restaurant for over 20 years. In 2014, as Stout`s celebrated it`s Golden Anniversary, Lisa Meirich and Jody Hogan began the next period of Stouts tradition of homestyle cooking & good company that has served this community for 50 plus years. Lisa`s German heritage and Midwest upbringing and Jody`s Southern heritage adds to an interesting mix of what we call "no boundaries homestyle". And we`d like to say "Thanks for stopping by". Small, bustling breakfast & lunch diner with a quirky vibe & many wooden spoons on the walls. The Stuffed Pig Restaurant and Tiki is located in Marathon, Florida Keys, at Mile Marker 49. Since 1984 we have been the locals` place for gossip, great food and great service provided by our friendly staff. We are also highly recommended by our friends from afar who visit us year after year. Here at IHOP, we want you to think of our table as your family table. Create new memories and enjoy the foods you love with the people you love - we`ll take care of the cooking. We`re happy to be the ones to serve you. Hope to see you soon! The best coffee in The Florida Keys! In the middle of Curly`s little waterfront paradise is our coffee shack. You can drive through or walk up and get the best cup of joe to be found. You can always lounge in our chairs and enjoy your beverage, or charge up then rent one of our kayaks or paddleboards from Curly`s Dock and go exploring! The place for fresh local seafood, steaks and pasta. Full menu available until 2AM. We even have a kids menu. We have the largest selection of craft beers this side of Miami. With over 100 beers, 30 on tap. Open daily 11am-2am. We boast two Happy Hours 4-6PM and again 10PM-Midnight. We love our customers, so feel free to visit during normal business hours. The current owners, Tim and Kathy O`Connell, have taken close to 3 years carefully restoring the interior and exterior of the property (first built in 1937) to reflect the feel of the Florida Keys while also paying tribute to Marathon`s storied past. The Overseas Pub and Grill offers Custom-designed beer chilling system for the coldest beer in town at 32F, a family-friendly and full service restaurant with comfortable outdoor seating,2 full liquor bars (located inside and also on our back patio) Bar-top ice rail to keep your drinks as cold as possible,Genuine Broasted Chicken, a unique cooking method that pressure seals a chicken`s natural juices in and locks the cooking oil out,Certified Angus Beef for all our burgers and steak dishes, 7 flat screen TVs for great sports viewing, and 68 well-lit, off street parking spaces. The Overseas Pub and Grill is the perfect destination for families and friends, both local to the Keys and visiting from afar. Our motto is: Be Good or Be Gone! Welcome to Fish Tales Market and Eatery in Marathon, a "local`s favorite" where only the freshest local seafood is sold. Fish Tales is a family owned and run full service restaurant, seafood and meat market. 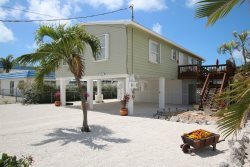 We are located in the Heart of the Florida Keys. MM-52, at the corner of 109th Street & US1, across from Bealls Outlet & Walgreens, you won`t miss our big Seafood Mural. We offer fresh Seafood at the Best Prices in all the Keys. We Catch it & cook it for you at the Restaurant, just come in and ENJOY our fresh seafood, or if you prefer take it home fresh from our Retail Market. FRESH LOCAL SEAFOOD. Roast Pork Chow Mein and Barbecue Spare Ribs. Butterfly Shrimp with Bacon and Triple Szechuan Delight. Panda House Chinese Restaurant offers delicious menu items available for take-out and delivery 7 days a week. One phone call, one stop, and a healthy 3-Food-Group meal is yours! It`s an easy way to meet up with friends, also! Italian restaurant featuring homemade pizzas, subs, salads, dinners, and yummi desserts. Established in 1980, Dine In or Take Out, Family-owned and operated, Beer and wine available, Cool a/c dining, Business Hours Lunch: Mon-Fri 11:00 a.m. to 2:00 p.m. Dinner: Mon-Sat 5:00 p.m. to 9:00 p.m. Wi-Fi Hotspot. Driftwood Pizza is locally owned and operated to serve you the best pizza, pasta, and subs available in Marathon. We deliver anywhere between the 7 Mile Bridge and Grassy Key for free! You are able to pick up your meal or dine in with us! Either way give us a call or order Online! Hours of Operation: Monday-Saturday: 11am-2pm; 5:00pm-9:00pm Closed Sundays! Taste The Difference In Our Better Ingredients. Browse Our Menu & Order Online! Dough made fresh daily - No trans fats or MSG - Fresh tomato sauce , Real meat, fresh veggies Types: Classic, Signature specialty, Local flavor specialty, Create your own, Meatless, Lighter choice. Fast Food offering Burgers, Fries, Salads and more.... Serves Breakfast Lunch and Dinner. Drive-thru available. KFC Corporation, based in Louisville, Kentucky, is one of the few brands in America that can boast a rich, decades-long history of success and innovation. It all started with one cook who created a soon-to-be world-famous recipe more than 70 years ago, a list of secret herbs and spices scratched out on the back of the door to his kitchen. That cook was Colonel Harland Sanders, of course, and now KFC is the world`s most popular chicken restaurant chain, specializing in that same Original Recipe along with Extra Crispy chicken, home-style sides and buttermilk biscuits. There are over 20,500 KFC outlets in more than 125 countries and territories around the world. And you know what? There`s still a cook in a kitchen in every last one of them, freshly preparing delicious, complete family meals at affordable prices.... This location also has a Taco Bell. Drive-Thru available. Everything we do is about you. From chefs who create exciting new flavors, to crew members who know exactly how you want your drink-we prioritize what you need to get you on your way. We strive to keep you at your best, and we remain loyal to you, your tastes and your time. That`s what America runs on. Dunkin` Donuts is the world`s leading baked goods and coffee chain, serving more than 3 million customers each and every day. True to our name, we offer 50+ varieties of donuts, but you can also enjoy dozens of premium beverages, bagels, breakfast sandwiches and other baked goods. The Brass Monkey is a Family Owned Bar. We are having our Thirty Year Anniversary soon. Freddie Bye has been playing here for 20+ years. We have Lunch from 11 am-2 pm Monday-Friday. Free Hot Dogs for Customers Saturday and Sunday. Live Music 7 Nights a week 365 days a Year! Hours of Operation: 10 am - 4 am.